The city of Marlborough is rich in local history, and Liberty Movers is proud to be the local moving company that’s been trusted to provide quality service to area residents since 1920. With our affordable long-distance moving solutions, we can take the stress out of your relocation by giving you full-service support through each stage of the process. From packing and crating of your household belongings to flexible storage options and the convenience of modern moving vans, we’re the premier source for Marlborough, MA movers that can handle any size relocation. 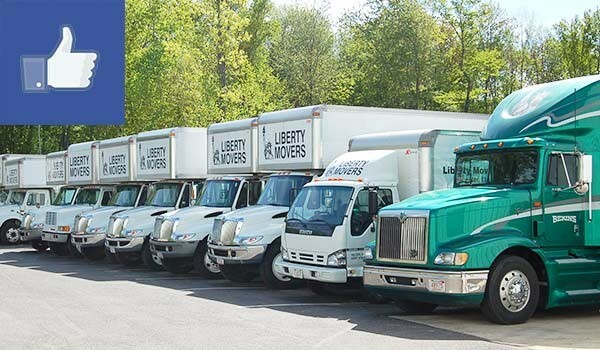 Over the years, Liberty Movers has grown into the largest moving provider within the region, but our commitment to 100% customer satisfaction has remained the same. As an agent for Bekins Van Lines, we’re proud to be part of a global network of moving professionals, making it possible to coordinate household moves of any size or scope with far greater competence than other local moving companies. If you’d like to learn more about our offerings as premier Worcester residential movers and long distance movers, just give us a call today! You can also get started right now by submitting our online form to request an appointment for your free, no-obligation estimate.